Participation in the the interregional (Bretagne – Loire) final of “Ma Thèse en 180 secondes” competition (My thesis in 180 seconds). 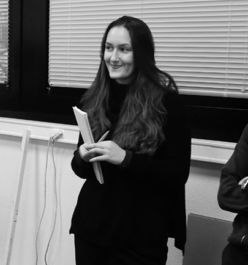 Participation in “A la découverte de la recherche” which consisted in two interventions of 1h15 with a public of highschool students, to present them an overview of what is the work of a researcher and the thematic of my thesis. UE PO – Java / Object Oriented programming (2018-2019), TD (22h00), TP (20h00), 2nd year Licence at Istic. UE PO – Java / Object Oriented programming (2017-2018), TD (20h00), TP (20h00), 2nd year Licence at Istic. Member of the organization comitee of the event “Journée Science et Musique” 2018, in the communication team and more specifically with the responsability of social media communication.